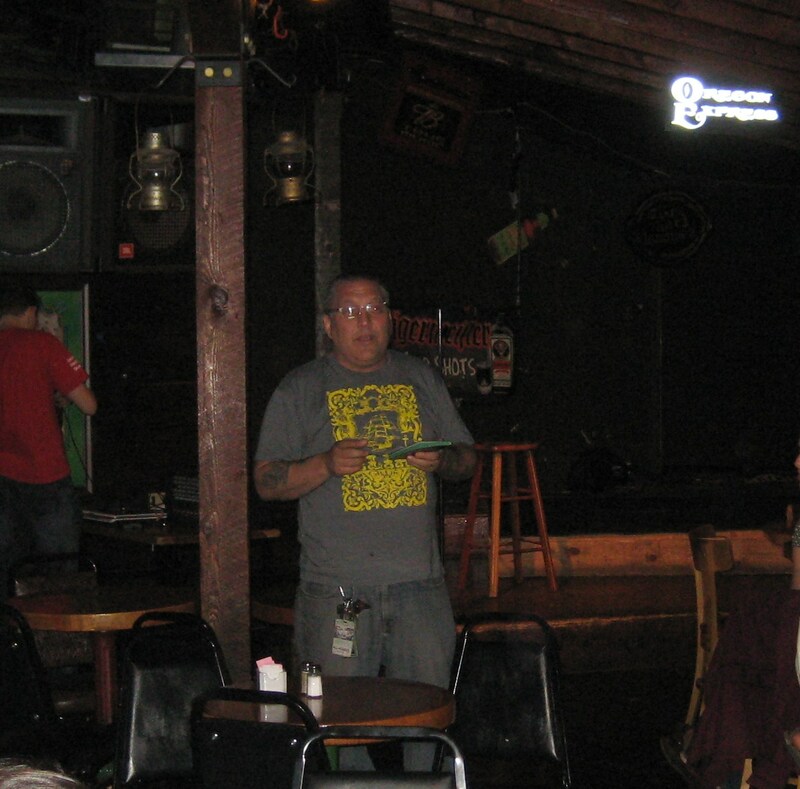 May 17, 2012 — Greg Baxley, a husband and father and a member of Emmanuel parish, was with us at Theology on Tap tonight to share with us the many little ways that we can grow in holiness and sainthood throughout our daily lives. No matter what job we have, or what state of life we are in currently, God is calling us to grow closer to him through our daily lives. Thank you, Greg, for helping us to better understand and respond to our call to Sainthood. And a big thank you to all of our speakers this season! May 10, 2012 –Sr. 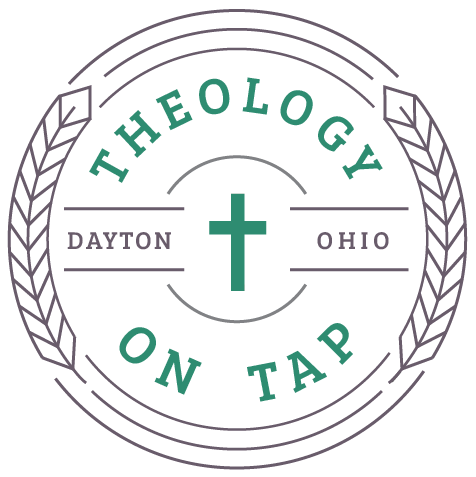 Mary Magdalene was with us this week at Theology on Tap to teach us how we can become more “hopeful, happy, and human” and how these things lead us to become more like Christ. 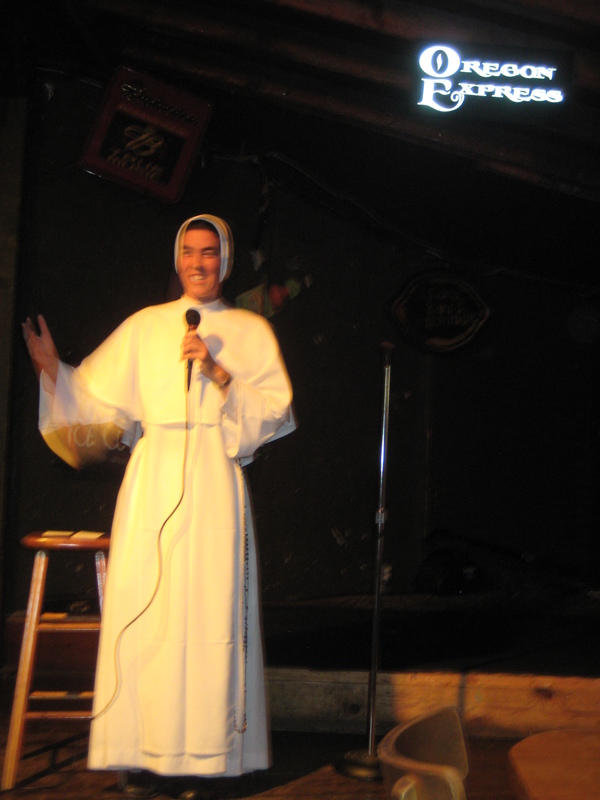 Sr. Mary Magdalene is a Dominican sister who currently teaches at St. Gertrude in Cincinnati, Ohio. 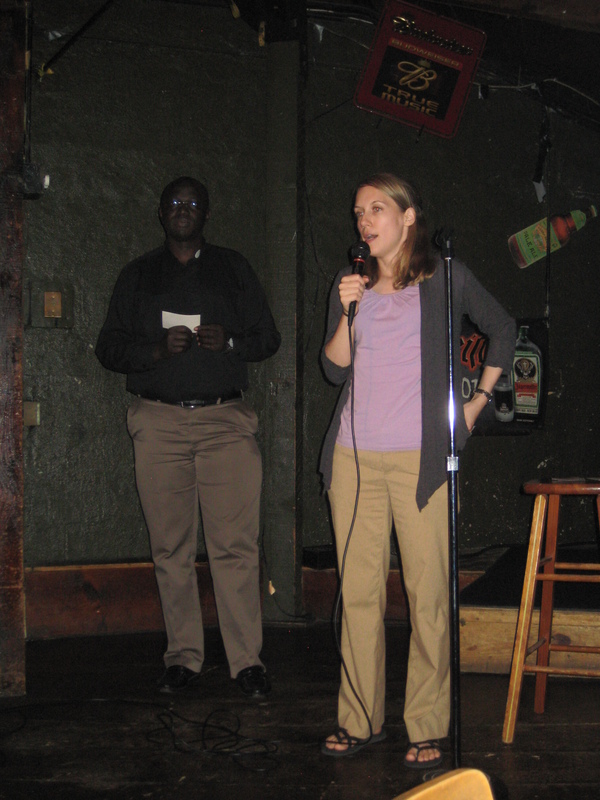 May 3, 2012 — This week at Theology on Tap, JoAnne Bhati, Associate Director of the Camboni Lay Missionary Program, came to speak to us about some of her experiences and conversion working with the as a missionary overseas as well as how she first became interested in missionary work. For more information on how to become involved with the work of the Camboni Lay Missionaries or to make a donation, please visit their website: Camboni Lay Missionary Program. Join us this week, for “Hopeful, Happy, and Human: Becoming More Like Christ” with Dominican Sr. Mary Magdalene. 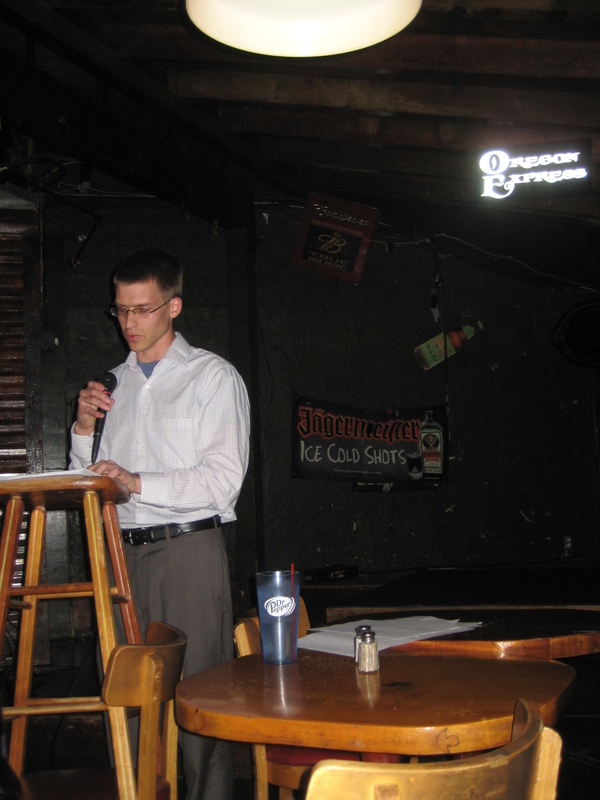 April 26, 2012 — Bryan Kemper came to Theology on Tap to share with us his conversion story and how God led him to his work with the pro-life cause through Stand True Ministries. Please keep Bryan’s family in your prayers as they welcome their seventh child into the world within the next few weeks! Join us next week, for JoAnne Bhati, as she shares with us her ministry as a Catholic missionary overseas, as well as how each of us is called to be a missionary in our own lives. 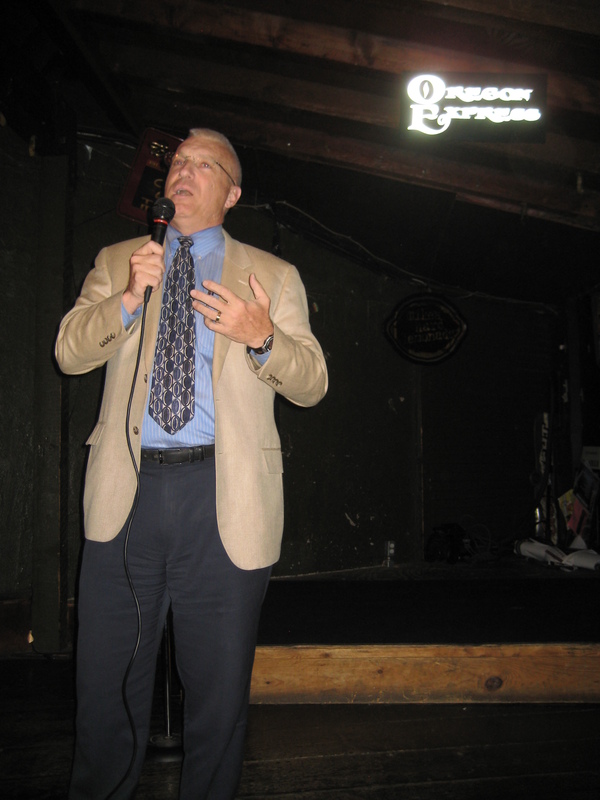 Dr. John Bergsma on "Confession"
This week at Theology on Tap, Adam Pasternack came to speak to us about religious freedom and to share with us his knowledge on the recent healthcare mandate. Adam highlighted our role as lay faithful to stand up for our religious rights. 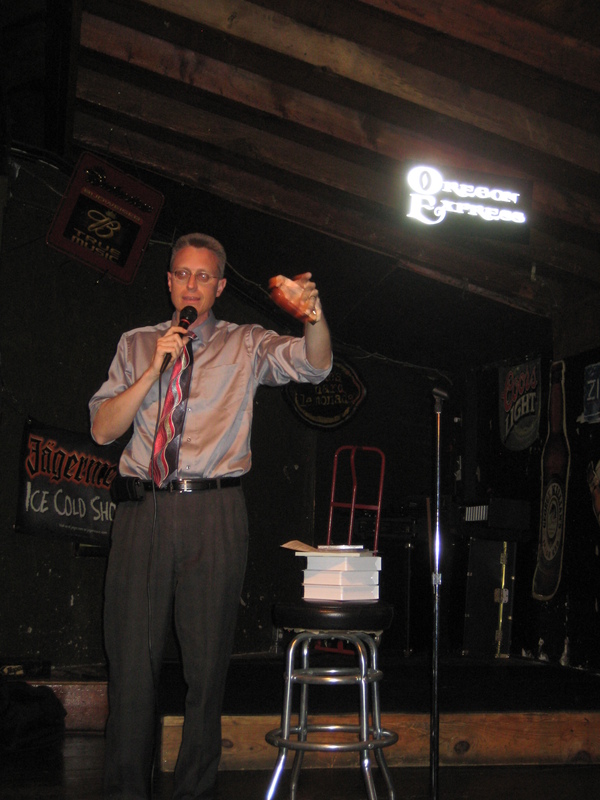 Adam Pasternack speaking on "Religious Freedom"